It’s Bree O’Connor’s last episode as Beer Sessions Radio’s producer! 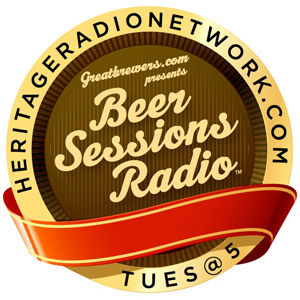 This week, Jimmy Carbone, Ed Berestecki, and Bree reminisce and talk about their favorite episodes of Beer Sessions Radio. What guests were their favorites, and what beers really impressed them in the studio? Later, Steve Wood talks about his childhood in the apple orchard, and how he came to start Farnum Hill Ciders. Why does Steve prefer still to sparkling ciders? Find out what differentiates industrial cider production from the techniques and methods used by Farnum Hill Ciders. Find out how Steve uses tannic apples to produce elegant cider! Tune into this program to hear Steve diagnose the problems with Ed’s apple trees, and listen to Steve talk about pruning practices and his distaste for pesticides. This program has been sponsored by GreatBrewers.com. Music has been provided by Dead Stars.